← Kokila’s strict dose to reform Meera begins in Saathiya…. There is a cocktail party post Nazia’s marriage with Saif and new Sanam has organized it. The party brings the love triangle – Aahil-Sanam/Jannat-Shaad in limelight. Aahil gets mesmerized to see his love Sanam wearing a black gown. She enters the place with Shaad while holding his hand. This makes Aahil jealous and the occasion not being the first time. Jannat taunts Aahil by reminding she is Shaad’s wife. She is aware of Aahil’s emotions and feelings for her but tries to prove him that she loves Shaad. Later on, Aahil sings a song after drinking wine and also reveals to Sanam that she is his real Sanam. Shaad overhears the conversation while Jannat is shocked with that revelation. Aahil have also helped Sanam by covering her back since her gown’s zip gets down. Moreover, he saves her from a man who misbehaved. For Aahil, Sanam matters the most and thus he went into angry man mode. Shashi has awaited for the party with her revenge plan to take Aahil’s life and confides about it to her brother Saif. Later, Shaad decides to talk with Aahil after the party and also confronts by asking him to not think of Jannat since he won’t be getting Jannat in this life. Aahil hits back at Shaad and suggests that Jannat never belonged to him. Shaad gets upset and takes out his pistol and aims at Aahil. Aahil gets shot but it is unclear whether Shaad shot at him or by Shashi or someone else. Nonetheless, Aahil falls down and gets unconscious after getting hit and Shaad gets to see Aahil’s possession of pics with Sanam. Shaad gets shocked henceforth as he validated once more Aahil was speaking the truth earlier. Will Shaad go to the extent of shooting down Aahil or all this a dream sequence imagined by Sanam/Jannat ? Coming to Sanam/Jannat’s memory, she was getting past remnants about Aahil: his allergy, cloth sizing for tailoring, and so forth, and didn’t know more about Shaad. 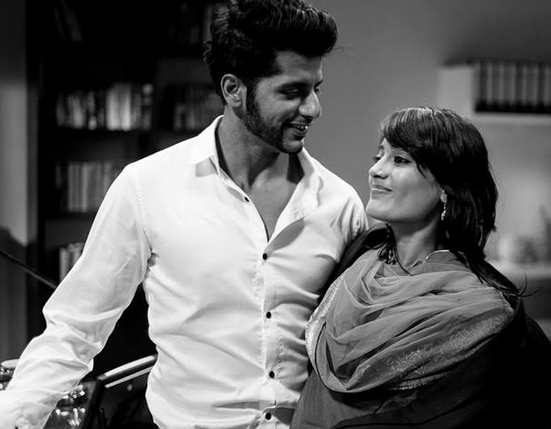 Aahil was happy with Sanam remembering things about him but still the persisting memory problem and Shaad’s presence in her life stopped her from giving a serious thought to Aahil’s words.